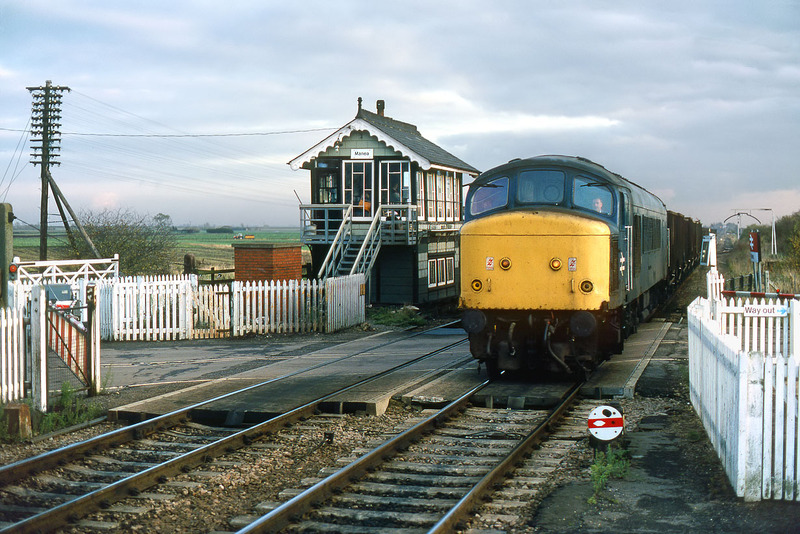 45070 passes Manea on 4 November 1986 with 9H86 12:14 Temple Mills to Whitemoor departmental working. This was running exactly to time, but wouldn't be for much longer, thanks to me! Although not visible here, there was smoke pouring off the wheels of one of the ballast wagons near the rear of the train, presumably either from a hot box or dragging brakes. Realising that the signalman probably couldn't see this from the other side of the train, I told him what I had seen. He had the train stopped at the next box for an examination.